4.1 out of 5 based on 692 bloggers and 213 commenters. SkyBlue is a free blogger template with 1 column, responsive design, gallery-styled, fresh look, rounded corners, an exclusive design for Blogger, footer columns, social bookmarking icons, posts thumbnails, drop down menu, breadcrumbs, well designed threaded comments and girly looking. 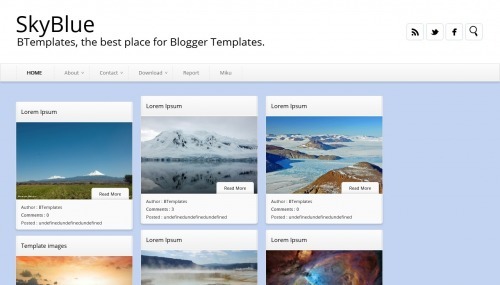 Excellent template for blogs about any general topic, crafts, movies or photography. This is Very good News . i have also started using it…sky blue template really comes out with excellent layouts…. When it comes to rented or purchased lists, you may come across vendors or marketers who say, “This email list is totally opt-in!” This means that the people on the list opted in to an email communication from someone at some point in time — like the list provider, for example. What it doesn’t mean, however, is that they opted in to receive email communications from your business. This is a critical distinction, and the next section of this post will go into more detail on why this type of “opt-in email list” (should be read with air quotes) is not a good idea for your email marketing program. I have also used the blue layout on my website which i have made online… It looks so decent . how maximize number of news in main page? Thank you for all your work about thme, I like bloggerand pinterest. Tk u .